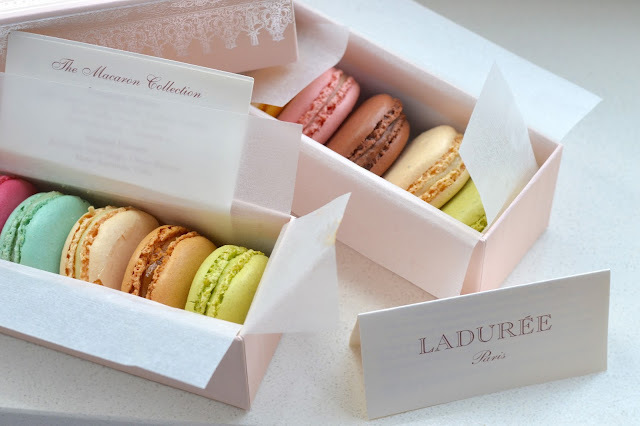 Whenever I'm in New York, and both times I've been in Paris, I've always made it a priority to stop by Laduree and pick out a box of macarons. After quite the fiasco last year attempting to make the cookies, I discovered there simply is no macaron that compares to those at Laduree! 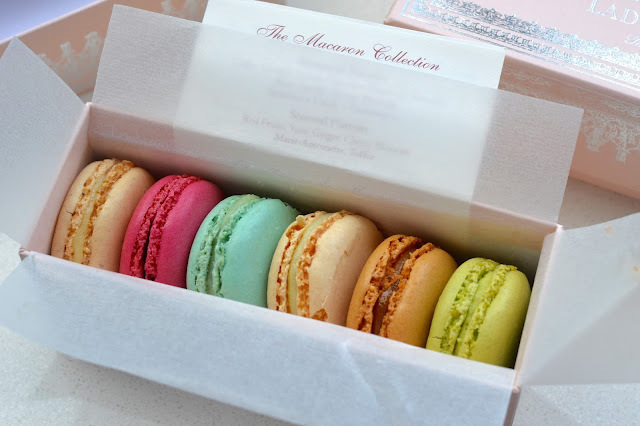 Pistachio is by far my favorite flavor, but I also love the Sea Salt Caramel and Red Fruits. Honestly, anything with sugar in it works for me. The store is probably just the cutest thing, too, and the ambiance really makes the whole experience. 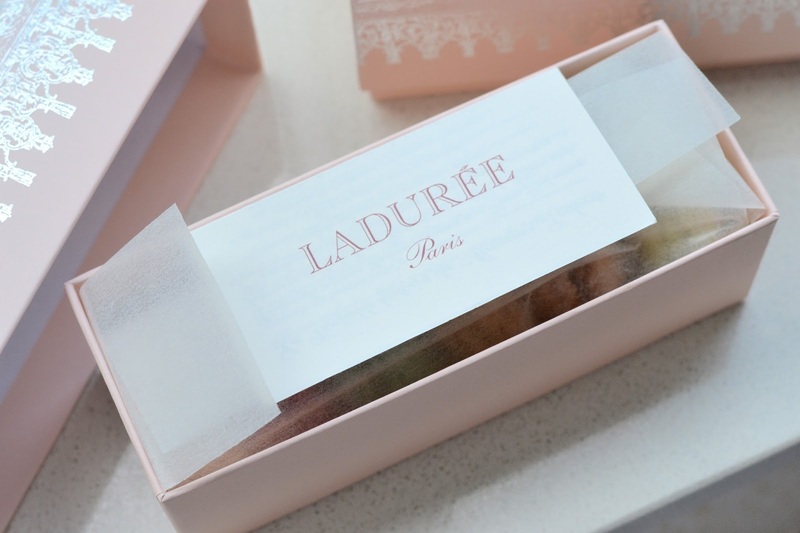 Have you been to Laduree before? What's your favorite macaron flavor? I'm thinking of trying a recipe again later this summer and I would love some macaron baking tips... they're so hard to perfect! 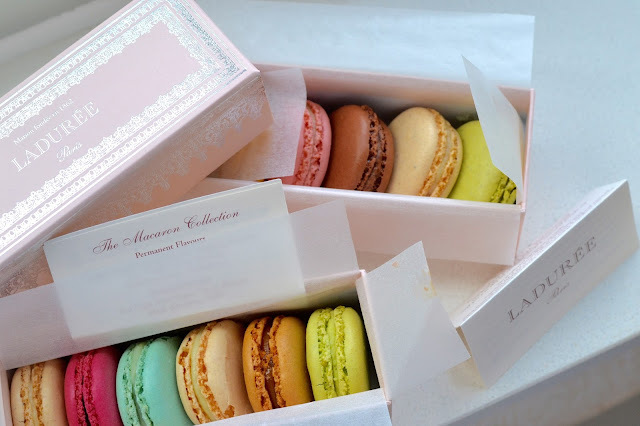 Love Laduree! My favorite is salted Carmel but I agree, they're all delicious! I was thinking of making a post with macaron baking tips! I didn't find them that hard, I mostly think people are intimidated. If you can make meringue you should be able to get it! Yum! I never had Laduree but I hope to the next time in NYC!